مثل ملفات اتش دي على ايفون, ايبود, ايباد و اجهزة اخرى مثل بلايستيشن 3, بي اس بي, و اجهزة مايكروسوفت. , HD MOV, HD, AVI, MP4, FLV, AVC, MPEG, WMV, MOV. 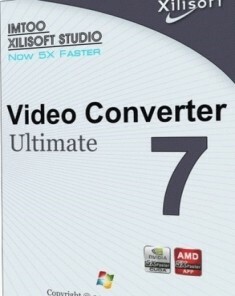 WinX HD Video Converter Deluxe, all-in-one video software as a HD video converter, video editor and YouTube online video downloader, can give you an ultimate control over video files. With over 320 video codecs and 50 audio codecs, it owns powerful capability to meet fast and high-quality video conversion needs without assistance of any third-party codec. 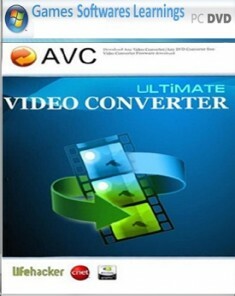 This video software enables you to convert between all mainstream video formats, like 1080p multi-track high definition videos MKV, M2TS, MTS, AVCHD, MOD, HD camcorder videos, Blu-ray videos, and standard definition videos AVI, MPEG, MP4, WMV, MOV, VOB, FLV, RM, RMVB, WebM, Google TV, etc. Moreover, it has 280+ built-in preset profiles to convert videos for iPhone (iPhone 5 included), iPad (iPad 4/iPad Mini included), iPod, HTC One, HTC Desire, Samsung Galaxy S4, Galaxy Note, Galaxy Tab, WP8, PSP, etc on the way or on the fly. 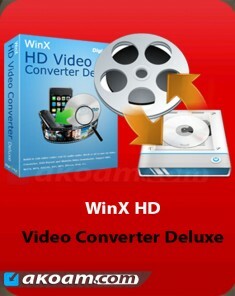 WinX HD Video Converter Deluxe is a video software to organize your MKV, M2TS, AVCHD, AVI, MP4, YouTube Videos. This program offers absolutely friendly interface to novice who can use the default setting to convert video with only a few clicks. Advanced users are also allowed to customize output videos by adjusting related parameters. Supporting Multi-CPU and Hyper Threading, WinX HD Video Converter Deluxe offers up to 5x – 15x real time video converting speed.